While I’m in Sedona, Arizona, attending a business mastermind retreat, I’ve asked a few fabulous coaches to step in with blogs. Today’s guest blog is by Jodie Rodenbaugh. As a coach who works with widows, Jodie embodies the importance of self-care in the face of life’s biggest challenges. I thought about this for a second. I know many people who don’t sleep at night or wake up in the middle of the night–and honestly I used to be one of them. My response would be something short of a grunt, and his “happy dance” irritated me even more. I never knew how he could fall asleep so fast, stay asleep, and pretty much sleep wherever he laid his head. I never knew why I couldn’t fall asleep, stay asleep, or why the perfect sleeping environment was so important to me. I never knew any of this until I the moment I woke up like I’ve never known awake before. The day my young, vibrant, alive husband was accidentally killed during a “routine” local block anesthesia procedure prior to shoulder surgery. I went to bed that night and slept. Through that first week I wondered why I was able to sleep at a time like this when I had such a difficult time sleeping before. I wanted to know why my biggest fear had become my reality and could sleep when I hadn’t slept before. Was it because the things I thought that mattered before didn’t actually matter? I realized that there was not much in those weeks after he died that I could control but the one thing I could control was what I chose to feel. That was a new concept to me because over the years, after many other smaller hurts, I got pretty good at hiding my feelings—or even ignoring them all together. Becoming a widow was so sudden. It left me standing there completely vulnerable and naked. The only thing I knew for sure is it felt worse than any pain I had ever known and I didn’t want to stay in that feeling. On the other hand, I recognized the beauty in feeling the emotions that I had shut out for so long. I learned that by ignoring my negative emotions—like sadness, shame, anger, resent, and blame—that I was blocking the positive emotions—like peace, freedom, love, and pure joy—from entering my heart. I learned I was hiding from vulnerability and when I found myself completely vulnerable—feeling as though I had no choice—I learned that I really do have a choice. I could ignore those feelings I was really good at hiding OR I could embrace them, show them, and receive them. I could open myself up to choosing life and love—and that’s exactly what I did. After four years, I still have struggles with trying to control an outcome or person, and worrying that something “may” happen in the future. I sometimes wonder what I “should” have done in the past, or what others think. But the difference is I feel it, I allow it, and then I start digging. What I find is real, raw, and sad pain–and I let it come. The vulnerability that comes from feeling alone, like you don’t belong in the world, or plain old shame that comes from feeling “not good enough” or standing out in a crowd when others are afraid of your bright light. Finding the “cause” quiets those thoughts down and I have an opportunity to sleep. Jodie Rodenbaugh inspires young, widowed moms who feel overwhelmed, alone, and uncertain to catapult beyond their existence in the “widow” status so they can allow themselves to know and adore who they are, be confident in what they want and feel empowered to love and live a life they never knew could exist for them. 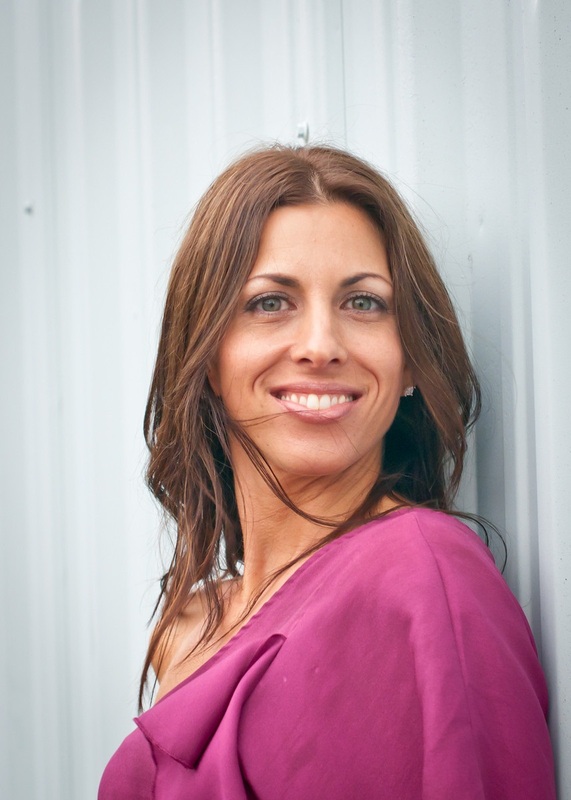 Jodie holds a Masters in Education and spent 16 years dedicated to teaching children the love of learning and eventually expanded her practice to coaching teachers. Her decision to leave education, a Masters degree, and a full-time paying job in which she was comfortable enough not to ever worry about money came from the experiences she had after suddenly becoming a young, pregnant widow. She followed her heart and the many clues she was given from God and the Universe and took the biggest leap of faith—in herself—as she resigned from education to share her lessons and passion for life. She helps widows untangle from their fears, overwhelment, and pains that are suffocating their hearts and controlling their thoughts so that they are free to live and love again. Learn more about Jodie and read her blog at www.widowfindsloveagain.com. Are you struggling with your weight? Are you worried about holiday weight gain? Are you ready to get the body you really want? You create the holidays you really want and never feel deprived. You start the New Year energized and feeling fabulous. You break the cycle of losing and regaining weight—once and for all. Secure your spot now by emailing me at hannagoss@goss-coaching.com by November 11 to schedule your complimentary breakthrough session. These powerful and empowering sessions are available on a limited basis. Don’t wait till Jan 2 to take inspired action. Start creating the body—and life—you want today. This entry was posted in Guest Blog and tagged God, Health, Healthy, healthy-living, Inspiration, Jodie Rodenbaugh, Life, Love, mental-health, Mind Body Spirit, Positive Thoughts, Sleep, Spirituality, Thoughts, wellness by Goss Coaching. Bookmark the permalink. Love this – especially your advice to see problems and struggles as opportunities. Great advice. Thanks! Thanks so much for commenting! Much appreciation! This post went straight to my heart and thank you for introducing Jodie, she is such sn inspiration ! Your blog is truly giving me hope and faith when I feel stuck and I don’t know what to do with the lemons life throws at me. Thanks to both Jodie and you ! Thank you! So appreciate your wonderful comments. I am glad you are resonating with what you are reading!